Youth Apprenticeships (YA) represent one component in addressing workforce shortages by linking students and local employers. High school juniors and seniors in YA receive technical and on-the-job training in occupations where they’ve expressed interest. Program areas are broad and diverse — agriculture, food, natural resources, architecture, construction, finance, health and science, IT, manufacturing, STEM, logistics, hospitality, lodging, and tourism. The positions are paid and may extend over a one- or two-year period. In addition, students receive valuable mentoring. During YA, students take related high school or college classes to expand their work experiences. 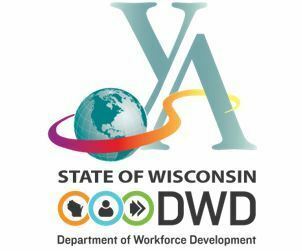 Upon successful completion, the Wisconsin Department of Workforce Development issues a Certificate of Occupational Proficiency to the students. Employers who are looking for a built-in pipeline of young, energetic workers may wish to consider the Youth Apprenticeship option. For YA to be successful we need a variety of businesses who are willing to step up and provide valuable mentorship opportunities to the students. And to students seeking a test drive of career options, YA may be your high performance model. Currently, SCC has over 20 students participating in the YA program. For more information about the YA program at SCC, please contact Tracie Crowley at tcrowley@scc.k12.wi.us or at 715-796-5383 ext. 1152.